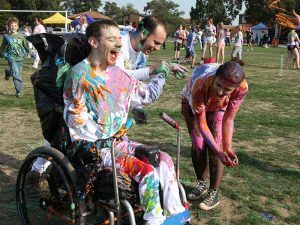 Call Phil on 07733 438555 to arrange a full day Trekinetic GTE wheelchair demonstration at a location of your choice, even on weekends! A 7 day trial option may also be available for the K2.Magic Mobility Ltd has proven results for sourcing and promoting innovative and cutting edge mobility products including the exciting range of F1 inspired Trekinetic all terrain wheelchairs. There is a small fee for demonstrations to cover travel and fuel costs, but this fee is fully refundable on purchase. Please contact us for more details. Trekinetic All Terrain Ltd was originally trading under a different name and specialising in the manufacture of components for Formula 1 cars and the Motor Racing industry. Interestingly, some of the worlds most iconic track and road motor vehicles were originally assembled using components manufactured in the Trekinetic factory. Back in 2000, Ex Formula 1 engineer/inventor Mike Spindle and owner of Trekinetic decided that there must be a way to get this cutting edge automotive technology before a wider audience and by chance, they stumbled upon the humble everyday wheelchair. Convinced they could update the antiquated design and six years, 14 running prototypes and thousands of modifications later, the now definitive Trekinetic 3 wheel, manually propelled K-2 was completed and introduced to the masses in 2006. It has been a firm favourite ever since. Since then the range has evolved into 4 amazing products, each with their own strengths and features making them suitable for many tasks and challenges. 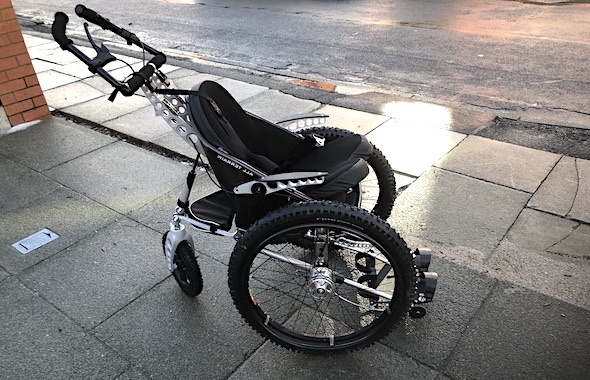 These wheelchairs are designed to push the limits and fulfil customer expectations whether in daily city use or in more extreme off road, all terrain environments. The GTE is the first off road and everyday electrically powered all terrain wheelchair that will fit into almost any car. It’s also one of the lightest in the world at 36kg all up. Its clever design allows the wheelchair to be easily dis-assembled within 2 minutes meaning there is no need to purchase a converted vehicle, saving significant cost. This also opens up many lifestyle opportunities, especially with family, friends and partners. Trekinetic chose to put the electric motors in the wheel hubs for very good reason. Much of a power wheelchairs weight is in the motors so with this design, when you remove the quick release wheels you remove much of that weight. This means you’re left with the centre tub, which is foldable and will fit into the smallest of cars. It’s easily liftable for many, at around 15 kg. There is also a handy manual switchover if you don’t need electric power all the time. £9750. Pricing is very dependant on any extras, so please call for best deals. 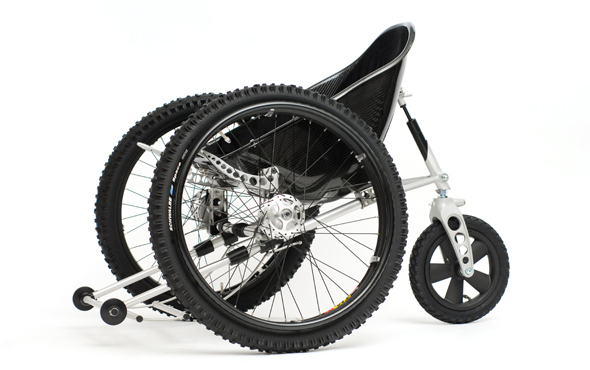 The Trekinetic GT3 3-wheel design offers a revolutionary departure from conventional wheelchairs. Unlike the all terrain K2 off road model, the still very capable GT3 has been developed for style conscious individuals, and a more city-focused appeal. Key features include the carbon fibre, auto-recline seat, nitrogen shock absorber, adjustable wheel camber, rain protection, independent wheel braking and full fold ability. 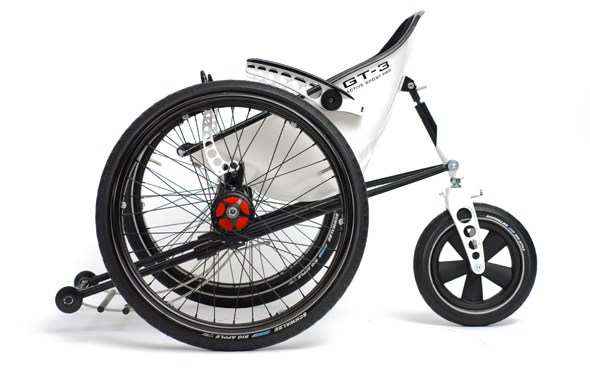 With it’s stunning Grand Prix White and Nero Black finish, some have called the GT3 most beautiful wheelchair ever designed – We cant help but agree. Like all Trekinetic designed wheelchairs, for easy transportation in the smallest of cars, just unclip the quick release wheels, unclasp and collapse the rear assembly, slide the telescopic footrest in and that’s it. It takes just moments 2 wheels, 1 centre tub, nothing to get lost. £4895. Pricing is very dependant on any extras, so please call for best deals. The K2 is the original Trekinetic, it has a light weight carbon fibre Monocoque seat which offers unprecedented comfort and support because it is anatomically formed to suit the human shape. With the big propelling wheels at the front, propulsion is much easier because you push horizontally with your back supported. It’s the same principle used by body builders who find they can lift more weight while lying on their backs. The secondary benefit of having the wheels at the front, is that they easily roll over obstacles giving amazing off road ability, but without being an unwieldy off-road chair. Also standard is a Variable wheel camber system, so users can have the wheels slanted for off road stability, but switch them, without tools, to vertical so they can get through doorways. Finally a revolutionary 2 way Dynamic Braking system so you can maintain your progress with ultimate control. £3895. Pricing is very dependant on any extras, so please call for best deals. 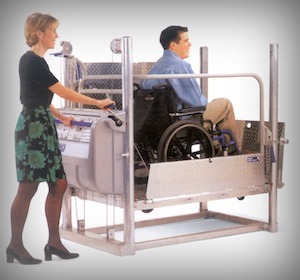 The Trekinetic Attendant Wheelchair is built to the same exacting standards as the rest of the range, except this one is can be controlled by a carer as well. The attendant wheelchair provides comfort not only for the user, but also for the carer allowing ease of use whatever the situation or terrain. Equally at home indoors or outdoors, this extremely lightweight and easy to manoeuvre wheelchair is a pleasure to propel. Suitable for kids as well as adults, this chair is very versatile and very safe due to its additional remote brake levers plus its also easy to dismantle for easy storage even in the smallest of cars. £. Pricing is very dependant on any extras, so please call for best deals. 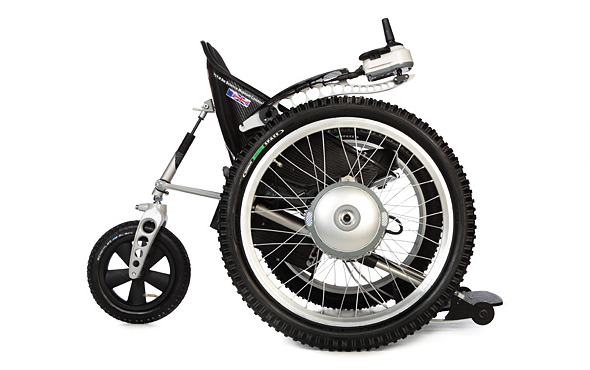 A full range of accessories is available for your Trekinetic wheelchair, just ask for details. Magic Mobility Ltd are able to organise home demonstrations for both the Trekinetic K2 and the Trekinetic GTE. We can currently organise a 1 full day fully supervised trial/demonstration of the Trekinetic GTE and unlike most rival company demonstrations who often choose the location, we will organise a demo to suit you and your location, in daylight or darkness. To arrange a demonstration please use the contact form below and make sure you include your address and postcode. There is a small fee for this service that is fully refundable on purchase. We currently can organise a 7 day trial/demonstration of the Trekinetic K2. To arrange a demonstration please use the contact form below and make sure you include your address and postcode. There is a small fee for this service that is fully refundable on purchase. Immediately the sense of independence and freedom was amazing. Mal was happy to spend as long as I needed but to be honest I didn’t need long to know it would be life changing. I tested the chair in a range of environments, starting off at a local woodland where the ground was thickly covered in autumnal leaves, logs & undergrowth and it excelled wherever it went, passing through muddy paths & long grass too.